HTE’s extensive offering of actuator products includes actuator motors, parallel and angular grippers, motorized electric actuators, ball screw actuators, linear motors, and much more. These industry-leading actuator products are an ideal solution for all applications. Our TECHTEAM engineers can help you choose the correct solution for your application, or will develop a system to fit your specifications. Experienced professionals are available to assist with easy integration into your current processes, as well as ongoing support after implementation. Count on our TECHTEAM to recommend a solution that is both reliable and cost-effective. 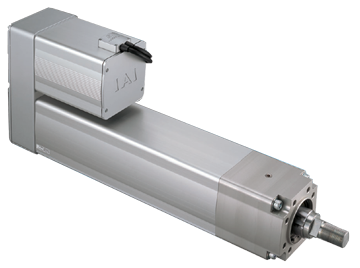 HTE Automation distributes actuator systems and components from top manufacturers like Intelligent Actuator Inc (IAI), Accu-Tech USA, Tolomatic, Isel Automation, Heidenhain, and Nook. Backed by these industry-leading companies, HTE has actuator solutions for applications ranging from semiconductor fabrication to high-intensity factory automation. Our extensive selection means we have an ideal product for all industries and processes. When looking for an actuator solution, HTE Automation has the product to fit your application if you are located in Kansas, Missouri or Illinois.